Event management service – End to end management of an event on behalf of an organisation. Photocopying and printing – Black and white, photocopying of original documents and/or printing documents supplied electronically (by email, from a CD or from a memory stick). Prices on request. Project management service – End to end management of a project on behalf of an organisation. Price: Will vary for each service, call 0300 123 1034 or email to discuss your requirements. 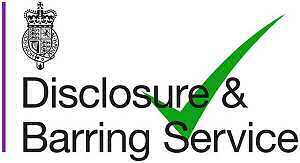 DBS (CRB) checking service – End to end management of DBS checks. Contact Karen to make an appointment.